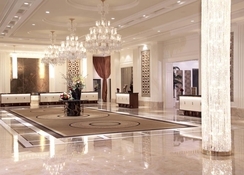 The epitome of presidential luxury, the Trump International Hotel in Las Vegas is a sophisticated, non-smoking, non-gaming, luxury hotel situated high above the Strip. The Trump International Hotel is a 64-storey glass structure housing 1,232 graciously furnished rooms and 50 luxurious penthouse suites. The floor-to-ceiling windows of the rooms offer sweeping views of the majestic mountains outside, while the state-of-the-art kitchen spaces and bathrooms make your stay an enjoyable one. The hotel also comes with a 7th-floor deck pool, lined with private cabanas and wet bars. Escape from the hustle and bustle of the town to steal a quiet moment by the poolside. Enjoy personal attention with Trump Attaché, a signature concierge service, which caters to all your desires. Better still, don’t forget to enjoy the out-of-this-world experience of the 11,000-square-foot spa at the Trump International Hotel, where luxury meets scientific practices in wellness and skincare. Trump International Hotel is only a 5-minute walk from the Las Vegas Boulevard, the most glamorous part of the town filled with upscale casinos, designer boutiques and chic nightclubs. It has a free shuttle service, which runs between the hotel and the Boulevard. The nearest airport is McCarran International Airport located 3.2 miles away. Staying at the Trump International Hotel is an experience in itself. All the 1,232 rooms and the 50 luxurious penthouse suites are impeccably decorated and come with an array of top-class services. Marvel at the grand Italian marble entrance of your hotel suite or enjoy stunning views of the majestic mountains from the larger-than-life glass ceilings of the rooms. 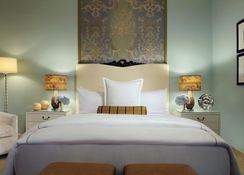 Enjoy a good night’s sleep on the pristine white linen bed or catch your favourite sitcom on the 43” flat-screen TV. Designer bath products and complimentary goodies add a touch of glamour to your stay. 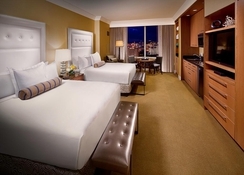 The rooms come in form of double guestrooms and one-, two-, or three-bedroom luxury penthouse suites. Trump International Hotel offers two tempting restaurants, which rustles up incredibly tasty dishes with style and elegance. The hotel’s signature restaurant, DJT, offers American classics, while H2(EAU) serves lighter fare by the poolside. For a more intimate dining experience you can opt for the room service and enjoy delicious meals at the comfort of your own hotel room. 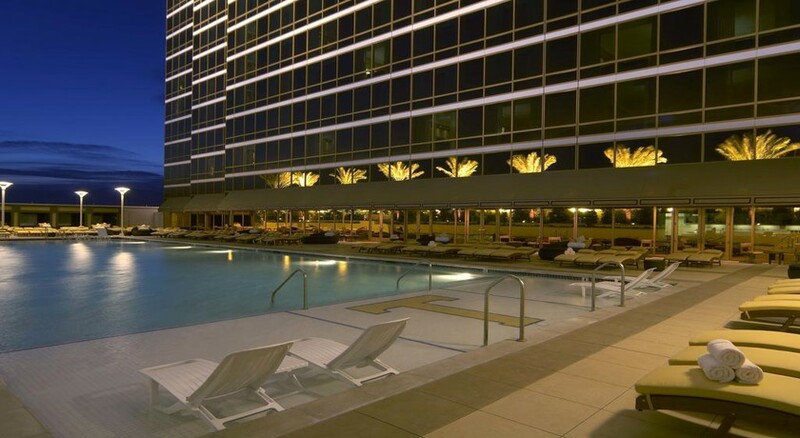 The poolside bar in Las Vegas serves exquisite cocktails and mocktails in a relaxed environment. Rejuvenation is key to the whole experience at the Trump International Hotel. The 11,000 square feet spa includes nine treatment rooms, separate steam rooms and saunas, co-ed relaxation lounges and a beauty salon, which haircuts, beauty treatments, nail care packages and everything else you need to feel pampered. Importance is given to holistic wellness, including workout and diet. Ask the hotel to customize your meals taking into account your nutritional needs. Shed those excess calories at the hotel’s fully equipped health club featuring cardio machines, free weights, circuit training equipment. Relax by the poolside at the 7th floor, sipping delicious cocktails and lounging in your private Mediterranean-style cabana. 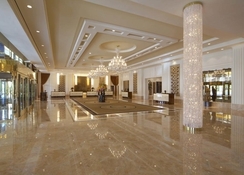 The hotel also offers special packages for weddings, conferences and other social gatherings.